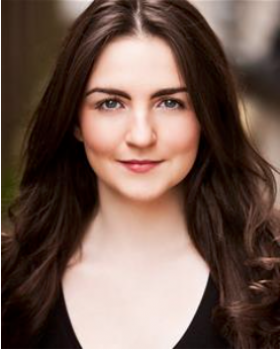 Maeve trained at the Guildford School of Acting. Theatre: Asphyxia in Salad Days, UK Tour, Asphyxia in Salad Days, Union Theatre, Mrs Santiago in Ghost the Musical No1 UK Tour, Morgan in Godspell UK Tour, Lead Vocalist in Somebody to Love International Tour, ‘Seasons of Love’ soloist in Rent (Greenwich Theatre) and Miss Banks in The Last Maharajah (workshop, Wyndham’s Theatre). Other credits include: Lead Vocalist 'My Fair Ladies' (Zédel Cabaret); Soloist in Steven Luke Walker’s Little Women - a Concert Performance.